Why don’t you visit Nara? Nara is a historical old city in Japan.If you are in Kyoto, Nara is a place you must visit. There are 2 ways to go there from Kyoto. 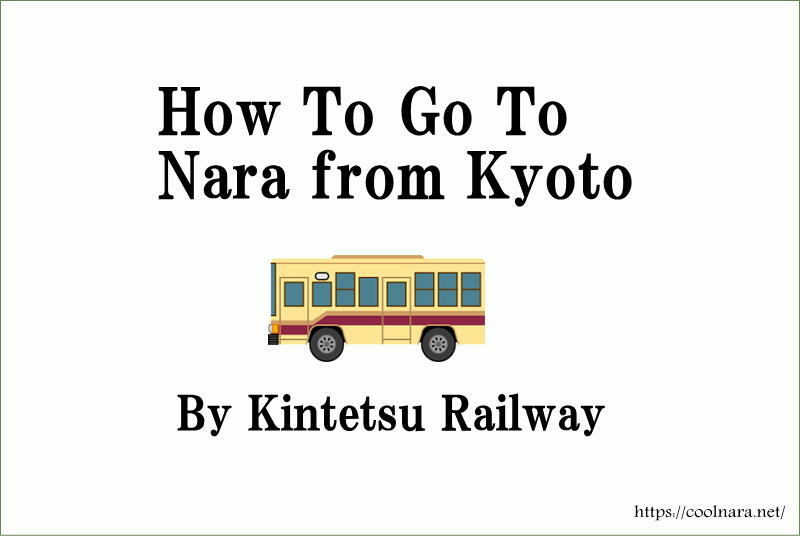 I’d like to tell you how to go to Nara by Kintetsu Railway on this page. Taking Kintetsu Railway is the most convenient way to get to Nara and enjoy Nara Park and places. ※JR Pass isn’t accepted on Kintetsu Railway. The note says how to go to Nara by JR is just around the corner. Kintetsu Nara station is a starting place to Nara Park. 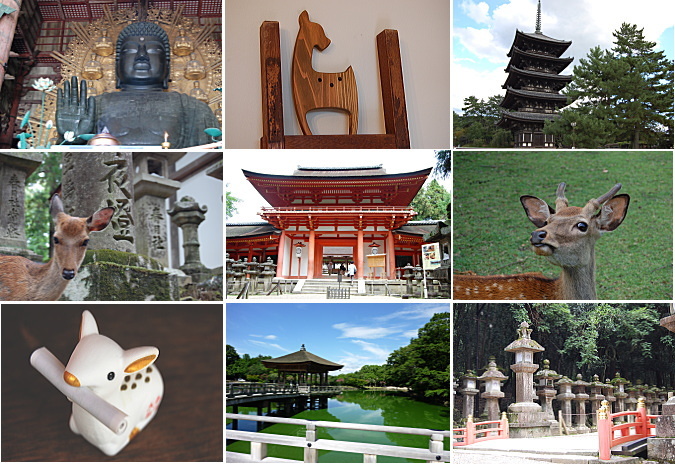 Easy to start walking for the Nara Park and sightseeing places. If you are near the Kyoto station area , find a Kintetsu Kyoto station.It is located on the south side of Kyoto station building (JR Kyoto station) Just in front of Shinkansen Central entrance. Ticket window is right before ticket gate. Just on your left. ※Not applicable to the train early in the morning and late in the evening. From Kyoto station, if you take a train bound for Tenri or Kashiharajingu-mae , please get off at Yamato-Saidaiji station to transfer. From Kyoto to Yamato-Saidaji staton, take an Express or Limited Express train. Local train is slow. 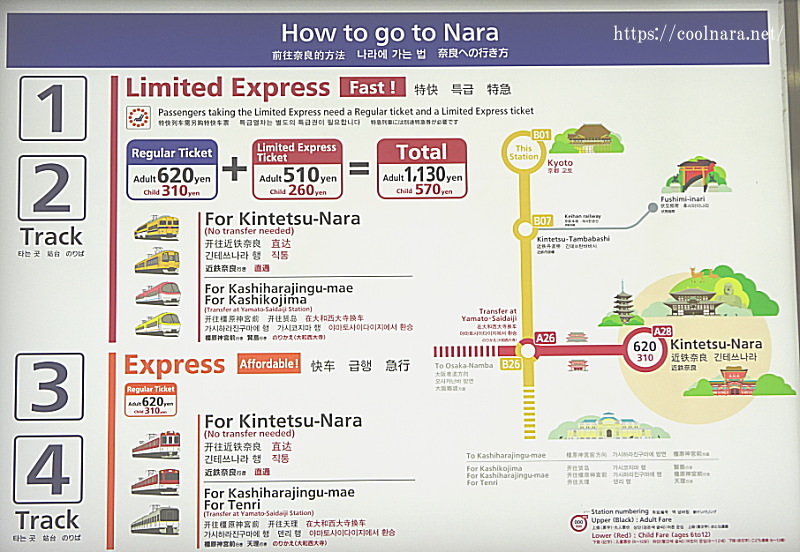 There is a sign board says how you get a train ticket to Nara. It is above the ticket machine. Limited Express is comfortable and fast and you can have a reserved seat. 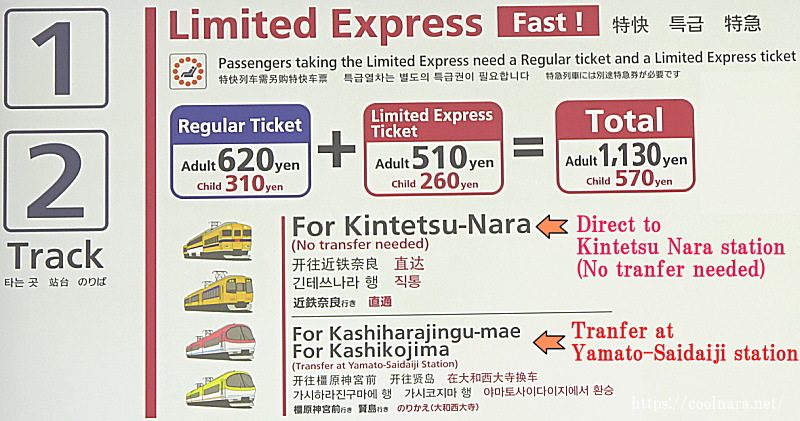 But make sure you need a Limited Express Ticket in addition to a regular ticket. Check your train whether it goes Nara directly or not. Check your train whether you need to transfer or not. You can use Express train with a regular ticket. It is an affordable to go to Nara. 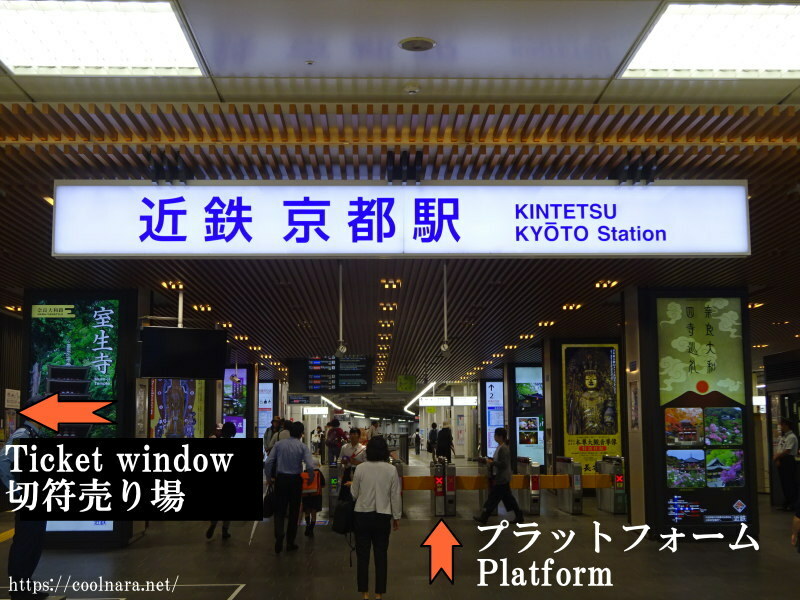 Kyoto is the starting station for the train and you might have seat if you are at the platform earlier than the departure time. But I can’t say for sure. It would change depending on the situation. Nara is about 1 hour by train from Kyoto. So It’s easy to enjoy one day trip from Kyoto. But I recommend you to stay overnights in Nara to explore amazing places in Nara. I hope you enjoy visiting Nara and have a great memories.